Here is a new Air Asia seat sale 2017 which are up for booking this week until July 30, 2017! 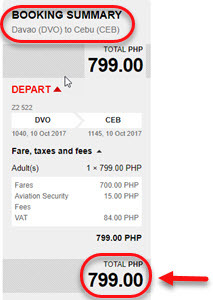 The latest Air Asia promo as low as P799 are good for trips for July, August, September, October, November and December 2017. Grab the opportunity to travel to the Queen City of the South, Cebu City with Air Asia affordable fares. 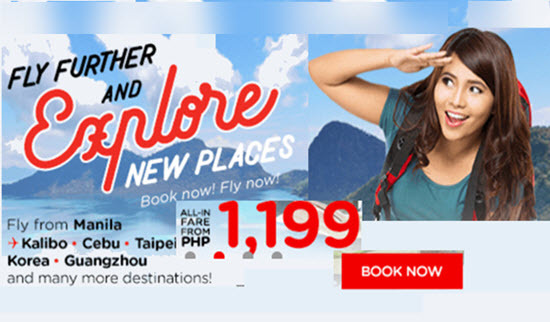 Featured on this sale are flights Davao to Cebu at P799 or Puerto Princesa to Cebu at P999. 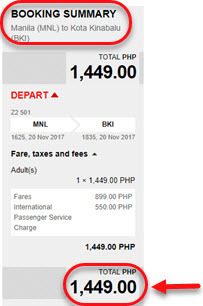 Manila to Cebu cost only P1,199. For international promo, from Manila fly to Kota Kinabalu for as low as P1,449 ALL IN one-way fare. Other select foreign routes are also on promo. Advanced booking is required to avail the Air Asia promo flights. As the seats on promo are limited, it is best to book your tickets the soonest possible time. To get the cheap Air Asia promo fares, log-on at www.airasia.com and book your ticket online. No promo code needed. Book your tickets online even if you don’t have credit cards. You can pay the low fares at Payment Partners of Air Asia: 7-Eleven, Cebuana Lhuillier, SM Store, EC Pay, M Lhuillier, Bayad Center, Robinson’s Store. Quoted ticket price is valid for one-way travel. Fares include 1 piece 7 kilos hand carry bag, base fare, taxes and fees. Checked baggage allowance is not covered by promo fare. To save on baggage fees, it is recommended to pre-book your checked baggage especially if you will be bringing heavy or several bags during your flight. For inquiries, please contact Air Asia hotline number: (63-2) 722 2742 from 7AM-11PM. Need more promo fares? Watch out for more seat sale, 1 Piso Fare of Air Asia, Cebu Pacific, Philippine Airlines and travel updates in our Facebook: PISO FARE TICKETS!! !